In Loc8, the primary job statuses, Draft, Open, In Progress, On Hold, Completed, Closed and Cancelled, represent the high-level progress of jobs through their lifecycle. 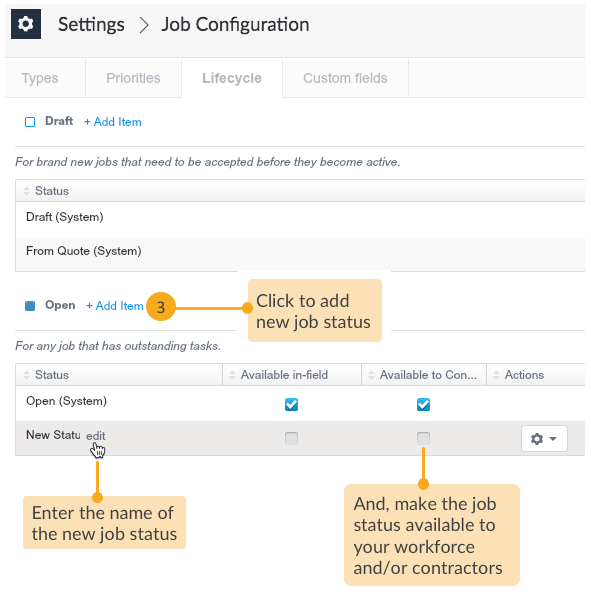 Under these statuses, you can add secondary statuses (referred to as job status throughout this article), to help you track distinct progress points of a job from its creation to closure. For example, Loc8 provides specific statuses such as Checked Out, En Route and On Site under the In Progress job status. You can edit any of the available secondary statuses and add new ones suitable to your business terminologies. Knowledge on which out of the available primary statuses will the new job statuses be relevant. 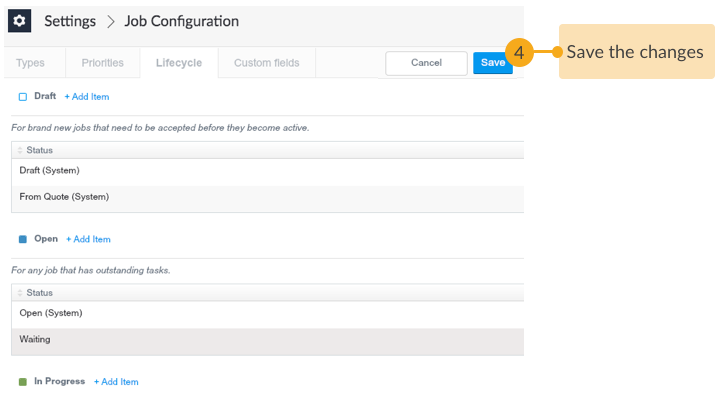 STEP 2 Open the Lifecycle tab. 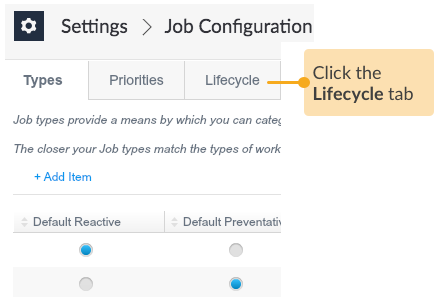 STEP 3 Add new job status to mark particular transitions in job lifecycle. 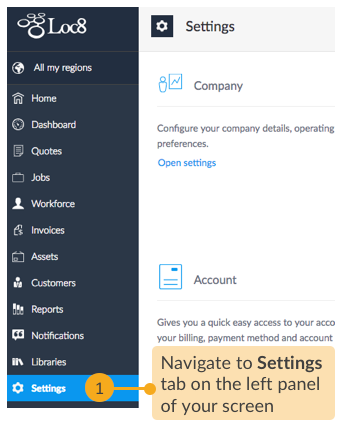 You can also edit the default statuses to closely match the terminologies used in your business. Once you've created a new job, select the appropriate status from the job inspector.